World Vision is committed to partnering with the people of Niger to improve their lives today and to help deliver sustainable solutions for the future of their children, families and communities. 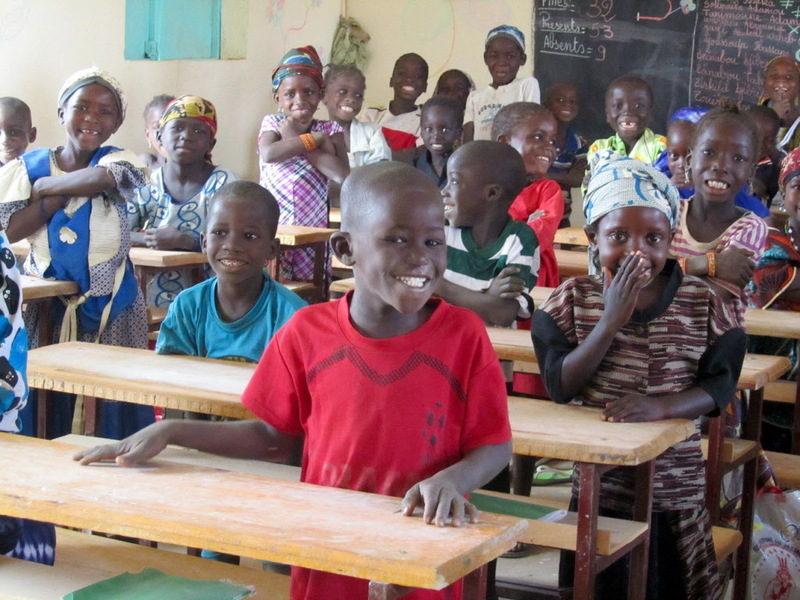 Please pray for our work with the poorest children in Niger. Ali, 13, from a small village in Niger explains how the discovery of a skin condition changed his life and how when his family hit a point of crisis we could help. At 10-years-old Ali discovered a small white mark on his leg. Over the next three years the mark grew and his leg became increasingly more painful. With no way to diagnose the problem, Ali and his family, were worried. With his older siblings struggling to find work in the village, and limited farming opportunities, Ali’s father, Hassan, shocked the family with a revelation of his own. "My father told us he would move to find better work and he also was considering getting a second wife,” Ali says. Ali’s mother and siblings were shocked at his decision. The family were at breaking point as Ali’s condition continued to worsen alongside the stress of his father's decision to go to Niger’s capital city, Niamey, to find work. When we learned of Ali’s condition and the immense pressure his family were under to survive we offered some help. Ali is now seeing doctors and is attending hospital appointments to try and treat his illness and we are working alongside his family to provide support. Ali wants to return to school as soon as he can, but while he is closer to getting a diagnosis he is still uncertain of the future. Pray for Ali, that he will have clarification about his condition and pray that a he can cope with whatever the outcome of that diagnosis may be. Pray that his father will continue to support his family. Pray also that Ali can return to school soon. Please pray for siblings Wassila, 12, and Roukaya, 14, who are both HIV positive. After both parents died they went to live with their grandmother who sadly also passed away. Both children now live with their aunt. 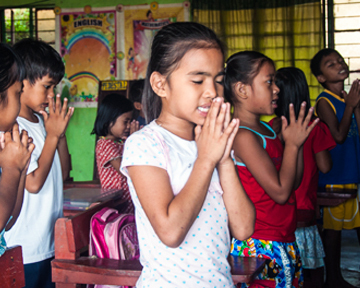 With the help of WorldVision they are able to continue with their studies and have their basic needs met. Please pray that God would give peace to Wassila and Roukaya and they would be strengthened as they continue to study and follow their dreams. Seybou is 8 years old. Recently he fell from a tree and broke his left arm. He was taken to a hospital in the nearest big city for treatment but, after 5 days, his arm was amputated due to complications. Seybou is feeling devastated. Saybou lives with his parents, two brothers and two sisters. His father suffers from health problems due to working in the gold mines for a long time. His parents now try to make a living from farming. 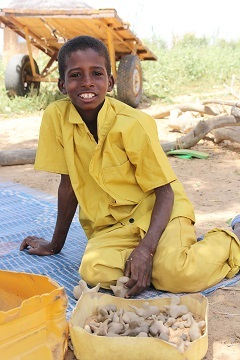 Seybou has returned to school but his life is challenging. His parents are doing their best to support him. Please pray that Seybou will come to terms with losing his arm. Pray that he will be able to thrive at school and find hope for his future. Soumana is 16 years old and suffers with constant fevers. His condition has not been diagnosed even though he goes to the health centre and is receiving treatment. He lives with one brother and two sisters. Soumana goes to school but he is struggling. His illness is affecting his studies and his everyday life. Please pray that the doctors will be able to diagnose Soumana and give him effective treatment. Pray too that he will be able to catch up at school and do well in his exams. Haoua is 14 years old. She is suffering from a severe form of malaria for the last few months. She is having medical treatment but is taking a long time to recover. Haoua cannot go to school or go about her normal life as she is too weak. She lives with her parents and has 2 sisters and 2 brothers. Her parents are poor farmers who are struggling to make ends meet and pay for her treatment. Please pray Haoua will regain her strength and health, so she can return to school, play with her friends and feel full of energy. Pray that her family will be able to earn enough so they can pay for Haoua’s medical treatment.